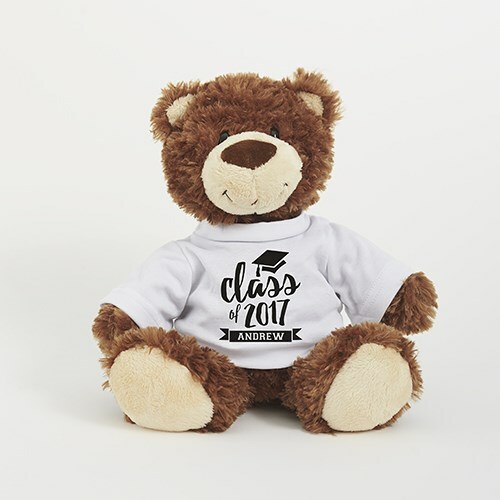 Celebrate the great accomplishment of graduating with a gift of this Personalized Class of Smiles Bear keepsake. Our Smiles bear graduation t-shirt design allows you to display any year and name along with the school color to create a truly unique graduation gift. Our Smiles bear is made of super soft, mink touch polyester, with black bead eyes and an embroidered smile. He sits approximately 10" H, with a size 9" W x 11" flat L x 7" D.